Starting Monday, I will have about 160 students spread across four classes, most of them freshmen. As I have been preparing for and praying about the beginning of the semester, and the formal beginning to my own career as a professor and teacher, it occurred to me what it is I am privileged to do this fall. Yesterday Daily Theology posted "A Statement from Christian Ethicists Without Borders on White Supremacy and Racism," inviting any and all Christian theologians who teach ethics or moral theology to add their names to the signatories. My name's been added, alongside many others'. It's a small gesture, but lamentably necessary in light of the last few days. Others have already written with greater passion, clarity, and eloquence that I am capable of. All I can is: Lord have mercy; Lord come quickly. Bring peace to this land, and justice for the vulnerable and suffering. Amen. Scruton, Eagleton, Scialabba, et al—why don't they convert? The question is a sincere one, and in no way facetious. Roger Scruton, Terry Eagleton, and George Scialabba represent an older generation of thinkers and writers who take religion, Christianity, and theology seriously, and moreover ridicule or at least roll their eyes at its cultured despisers (like the so-called New Atheists). And there are others like them. "The inner relation of successive civilizations to each other may be described as 'unity in length' or in time. The inner relation of contemporary civilizations to each other may be described as 'unity in breadth' or in space. The former unity is more obvious than the latter one. The history of Western civilization is, for instance, more clearly related to Greece and Rome than it is to its own contemporary China. Yet there are minimal relations of mutual dependence even in 'breadth.' While the Western world has elaborated science and techniques to a greater extent than the oriental world, it would not be possible to comprehend our Western scientific development without understanding the contributions of oriental scientific discoveries towards it. I originally wrote this piece two years ago next month. My opinion of the film has not changed: it's one of the best movies released in the last 20 years. 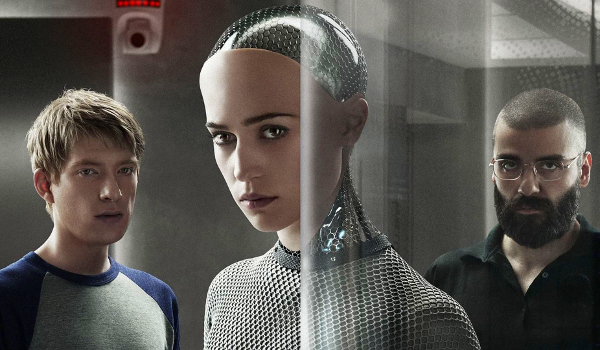 Initially I stayed away from Alex Garland's Ex Machina, released earlier this year, because the advertising suggested the same old story about artificial intelligence: Man creates, things go sideways, explosions ensue, lesson learned. That trope seems exhausted at this point, and though I had enjoyed Garland's previous work, I wasn't particularly interested in rehashing A.I. 101. This fall I am teaching a course on ecclesiology for upper-level undergraduate Bible and ministry majors. It's a long-standing course I took over from a recently retired professor of New Testament, who was kind enough to share his syllabus with me as a foundation on which to build my own. Here's the final breakdown of weeks, topics, and readings. It's basically set, so I won't be changing or adding anything at this point—and I'm already demanding a lot from my students—but since this is a course I'll be teaching repeatedly in the coming years (as the Lord wills), all manner of feedback, recommendations, and shared wisdom from similar courses is welcome. The two required texts are Gerhard Lohfink's Jesus and Community and Alexander Schmemann's For the Life of the World; the two suggested texts are Rowan Williams's Why Study the Past? and Everett Ferguson's The Church of Christ. In the finale of season 1 of the HBO show The Leftovers, Kevin Garvey reads a passage from the Bible over the body of Patti Levin, which he just buried with Rev. Matt Jamison. The whole season has culminated in this moment, which was partially the result of his own decisions, decisions sometimes made after blacking out and sleepwalking. These frightening episodes were in turn the result of dealing with the unbearable grief of losing each member of his family one by one to their own grief in the wake of The Departure (a rapture-like event a few years before)—all while serving as Chief of Police for a town that is being torn apart at the seams. The passage is Job 23:8-17 (NIV). The scene is probably the most affecting—and least typical (i.e., not Psalm 23 or Genesis 1 or a Gospel)—reading of Scripture I've ever witnessed on screen.